Midco Sales is now a dealer for Doolittle Trailers and their line of utility trailers, dump trailers, and equipment-transporting trailers. Doolittle Trailer Manufacturing has been producing quality trailers for over 35 years. They utilize tested materials, proven designs and superior workmanship to create the safest and most-reliable trailers available. 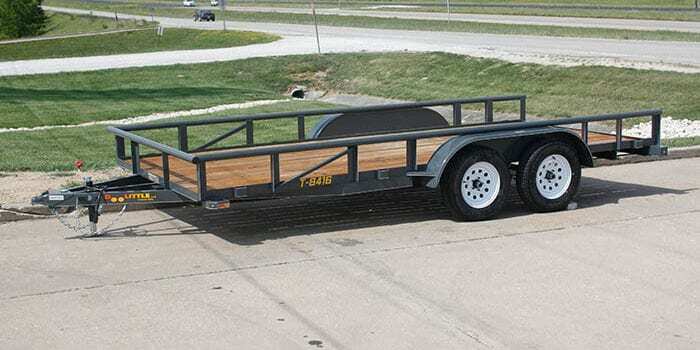 Doolittle offers more than 180 trailer models in various sizes and GVWRs. Their product line includes cargo, dump, utility, equipment and deckover trailers. Customers can choose from a variety of colors and customized features and options. Doolittle quality components are engineered into every process from beginning to end, and their manufacturing plant is run by well-trained and skilled workers. The result is a professionally designed trailer that has the structural integrity that has made them a recognized name brand. Each trailer is ordered, built and finished in a process that ensures top quality delivered in a timely manner. Midco Sales is excited to add Doolittle Trailers to it’s line of trailer manufacturers. Several different models of Doolittle trailers will be in stock in the near future. Contact the sales office at (480) 999-0607 for more information on any of Doolittle Trailers available.